One of the most beloved takes on DC Comics’ Dark Knight is finally getting the Pop! treatment thanks to Funko! Check out this epic new line of Batman: The Animated Series Pop! vinyl figures based on the iconic ‘90s cartoon. This new series of Pop! 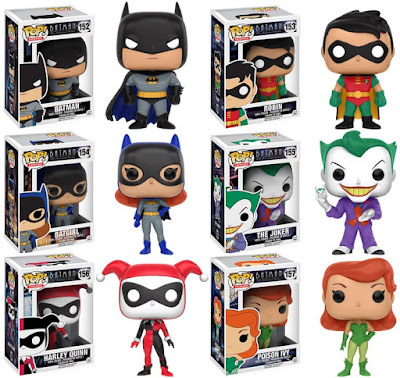 includes animated versions of Batman, Robin, Batgirl, The Joker, Harley Quinn and Poison Ivy. Each Batman: The Animated Series Pop! Heroes Vinyl Figure stands 3.75”, features one point of articulation and come packaged in a full color displayable window box. These awesome DC Comics figure can pre-ordered now at Entertainment Earth for $10.99 each here.